A strategy game with defense towers. You have to stop the insects from invading your territory by placing defense towers strategically. Use your mouse. Choose your war artefacts of your panel and use them properly to win all the battles in this game of strategy. A strategy game with tower defense. You gotta choose your hero and protect your territory from the enemy invasion with defense towers. Use your mouse to play and arrow keys to move. A great strategy game where you have to get rid of the enemies trying to enter your labyrinth. Put weapons and wait for them to come in and get them. If you miss any, make him blow up while running. Use your mouse to play and click on NEXT WAVE to let them in. A game about fantasy and strategy. You gotta use your cards to bring strange creatures to this world and cast powerful spells. You can be part of amazing tournaments and else. USe your mouse to play. 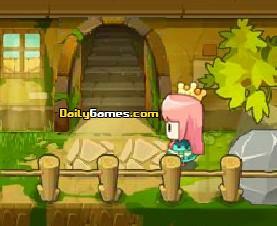 Have fun with this strategy game and help the princess rescue her prince from the enemy. Move objects and use them well. Find the exit door and move up to the next level. Use arrow keys to move and X,Z,E to interact. Build homes, fabrics and headquarters and then using the inferior menu choose citizens to make them workers and soldiers. Make click on the constructions and trenches to assign them soldiers or workers. Choose your weapon and make click on the enemy soldiers to shoot them. The devil wants to conquer the world try to beat him on this match. Drag the objects to the central icon to make your game. Who will survive? Second edition of this strategy game where you'll be in charge of build the road to go to Roma. Collect feed and wood to work, and try to accomplish your mission before the day is over. Use your best strategy and get rid of the animals trying to destroy your territory. Place your tools and click on BEGIN RAID to let the animals come and kill them automatically. Play with your mouse. You're the owner of this garden centre and you have to get as much money as you can. Sell carefully and don't lose clients. Use your mouse. Entertained strategy game where you will have to defend your land from an alien invasion. Use the mouse to play and try to survive! Eliminate all the alien bugs and its nest. Use the mouse to place your bases in the military terrain and create soldiers. Make click on your soldiers to lead them. Go throughout the screen with the arrow keys.